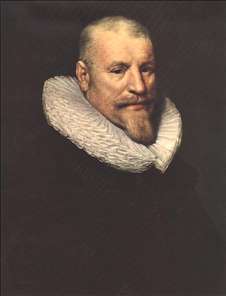 Miereveld or Mierevelt, Dutch portrait painter, active mainly in his native Delft. 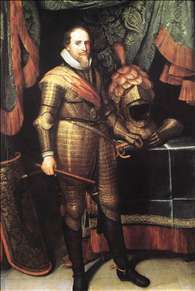 In 1625 in The Hague he became Painter of the Princes of Orange. His portraits are mostly small in size, often busts only. They are dull and repetitive, but meticulously crafted and of great value as historical records. He was highly successful and enormously prolific. It is reported that Miereveld himself estimated that he made about 10.000 portraits. 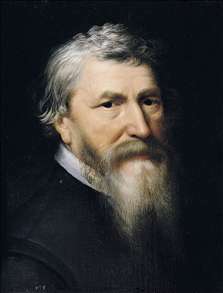 See more details about "Portrait of Lubbert Gerritsz." See more details about "Prince Maurits, Stadhouder"